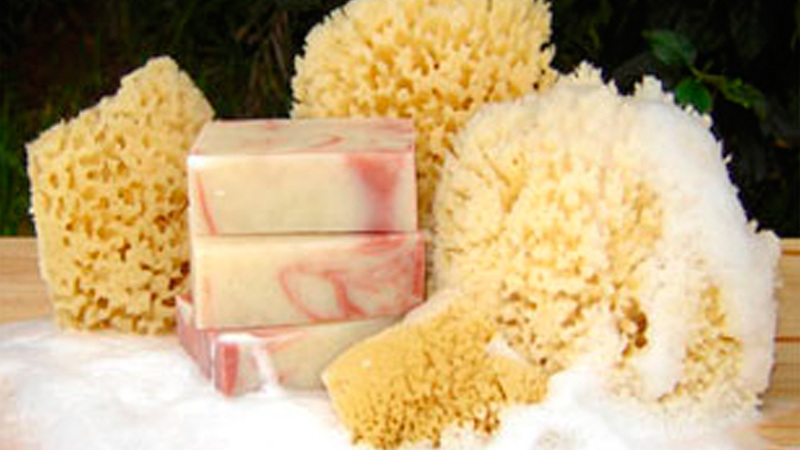 Have you tried our Natural Sea Sponges? They are more absorbent, more durable and longer lasting than synthetic sponges while providing a less abrasive cleaning. 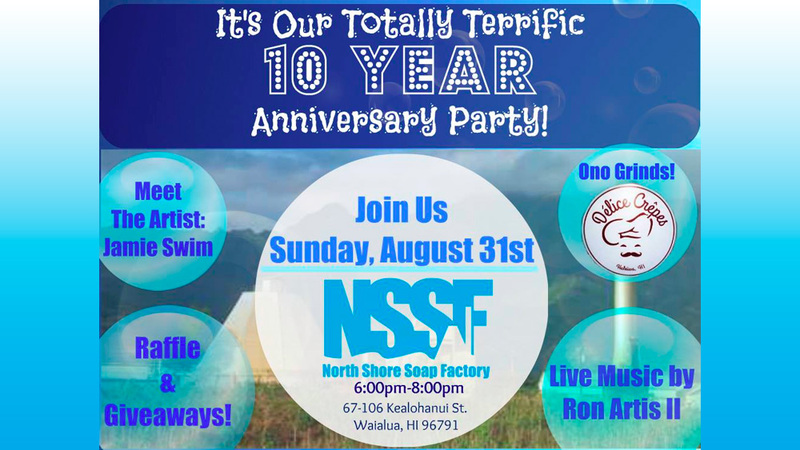 Happy Birthday NSSF!!! Store wide celebration on Sunday August 31 for all day store wide “10% for 10 years” sale, Meet the Artist, and Anniversary Gift Giveaway. Then join the AfterParty for food, music and Raffle! Mahalo everyone for an amazing 10 years, we couldn’t have done it without YOU!!! 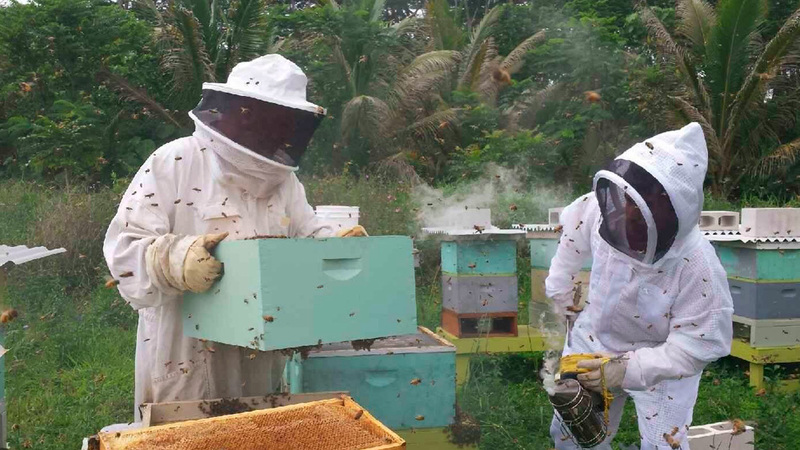 We source our beeswax and honey, for our lip balms and scrubs, from a family owned & operated business on Big Island. This is a great pic of the beekeepers in action! http://www.hawaiianbathbody.com/natural/lip/ Use FB for free (domestic) shipping!